In June, Microsoft purchased LinkedIn for $26.2 billion. Experts are saying this is a great move for Microsoft because it gives them additional data to enhance their existing tools. This will help Microsoft compete with Salesforce.com. Hopefully, this will mean that businesspeople around the globe will get even more value from LinkedIn, helping them grow their businesses by leveraging all the tools that are provided by both LinkedIn and Microsoft. In order to stay competitive, it’s now even more important for businesses to ensure that their executives, thought leaders, and any other employees who play a key role in the business actively use the site to help generate leads and grow their business. Before it was purchased by Microsoft, LinkedIn was already showing healthy growth, increasing from 300 million users in 2014 to roughly 433 million users today. According to its website, LinkedIn is currently acquiring two new users per second. While some people point out that only 25% percent of its users are active users, just having a robust profile on LinkedIn has value—particularly for B2B businesses. This is because more buyers are doing some research online before making a purchase decision. In fact, according to Corporate Executive Board (CEB, Inc.), 77% of B2B buyers don’t talk to a salesperson until they do their own research. Forrester even estimates that 90% of the sales process might already be completed before a salesperson gets involved. And, according to Dell, 70% of people who make purchase decisions in B2B businesses use social media to help them decide. If your B2B business is selling a high-value product or service, you can be sure that at least some of your potential customers are turning to LinkedIn to check the credentials of the executive management team or even the mid-level employees who they will be working with or buying their products or services from. And, for people who are looking to hire consultants or advisors, knowing the past education and experience of the people who they are taking advice from is extremely important. This is definitely a time when many people will turn to LinkedIn. 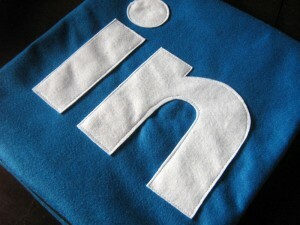 Even job applicants turn to LinkedIn to see if they would be a good fit for an organization. It is therefore important that your executive management team, thought leaders, and other key employees help current and prospective customers (or future coworkers) find the information that they are looking for on LinkedIn when they search for it. Knowing that LinkedIn is used by prospective customers, it makes sense to encourage your employees to join LinkedIn. It is also extremely important that when they create their profiles they include the information that prospective customers would be looking for. Businesses looking for a starting point might want to check out a post written by Katherine Drotos on the proresource blog that explains some of the key elements needed to create a professional LinkedIn profile. She also suggests growing your network on LinkedIn. It should be noted that connections are important for all employees, as it makes it easier for potential customers to find common connections. Other experts, including Greg Jarboe, President and Co-Founder of SEO-PR, suggest that in order to have success on LinkedIn, users need to participate in many different ways, including responding to questions in relevant LinkedIn Groups, publishing content on relevant topics, and reaching out to key targets. In other words, with the proper strategy, you are more likely to have success with LinkedIn the more you actively engage with current and potential customers on site. As experts have suggested, it takes more than creating a profile on LinkedIn if you are really looking to generate a lot of leads using the site. That said, for B2B companies, encouraging your key employees to create a professional profile on LinkedIn is a must even if you don’t use the site in any other way. This is because many potential customers will turn to LinkedIn to research the companies that they plan to hire. Furthermore, because it is now a part of Microsoft, the data from LinkedIn will potentially be integrated into other Microsoft products. If your employees are not on LinkedIn, there is a chance that users of other Microsoft products will find your competitors first because the information from your company is nowhere to be found. Photo credit: Mambembe Arts & Crafts on Flickr.